Providing preventative dentistry for your pet is one of the most important decisions you will make regarding the health of your pet. Oral disease is the single largest disease process affecting our pets today. Aggressive home care can help prevent oral disease, but sometimes it is not enough. Proper dental procedures are needed in order to maintain or return the oral health of your pet, and we are here to help. Studies show that by performing preventative dental care and continuing with proper oral hygiene at home, we can extend our pet's life another two to three years. As with any anesthetic procedure, we follow a strict protocol to ensure your pet returns to you healthy and happy. Please take the time to review our anesthetic protocol and ask as many questions as you feel necessary to be comfortable with this procedure. Our detailed explanations of our protocols are designed to educate you, as the owner, so you understand exactly what is happening and to ensure no question goes unanswered. 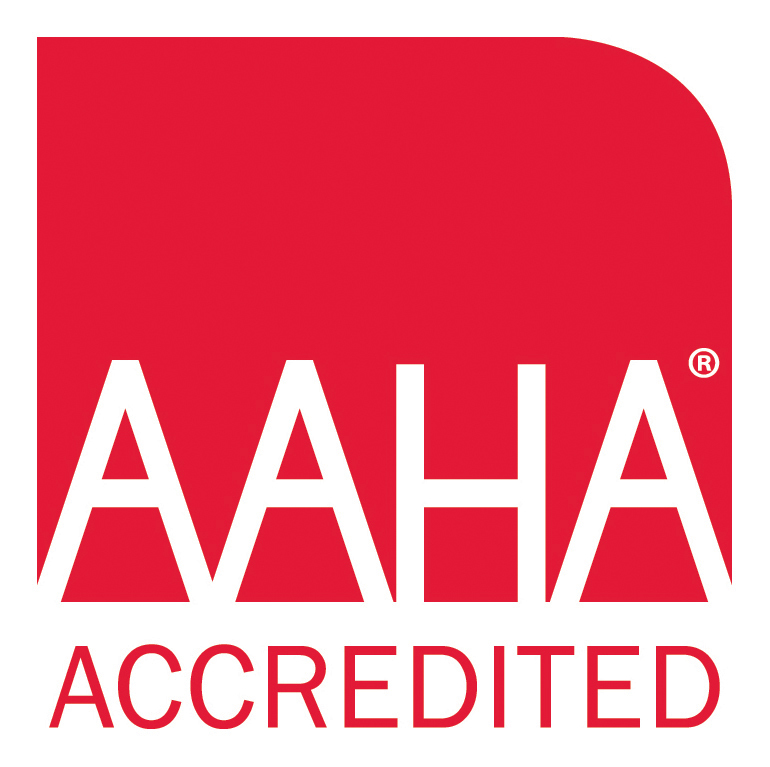 We would like to note that during our most recent American Animal Hospital Association evaluation, we ranked in the highest percentile (99th percentile) for all of the care we provide. Our surgical and dental services were near perfect. We are confident that if you were to compare what we do to anyone else, you would find our standards to be unmatched. We are passionate about your pet's health and the care and service we provide to you. Dentistry at Princeton Animal Hospital & Carnegie Cat Clinic always starts with a physical examination. During the physical examination, the doctor will perform a preliminary oral evaluation. During this evaluation, our doctors will make note of any abnormalities and eventually grade any oral disease occurring in the mouth. The grading system starts at 0 and continues to 4. Dentistry and your pet – when should I be concerned? Stage 0: The oral cavity is clinically healthy. No sign of any abnormalities to the oropharynx, lips and cheeks, oral mucus membranes, hard palate, floor of mouth and tongue, and teeth. Stage 1: There is tartar, but no gingivitis. This is the earliest stage of oral disease where tartar is beginning to develop without any additional oral disease present at this time. Stage 2: There is mild oral disease with early periodontal disease, gingivitis (slight reddening and swelling of the gingival margin; no bleeding on gentle probing of the gingival sulcus), malodor, and tartar is likely present. Stage 3: Moderate oral disease is present with likely periodontal disease, moderate gingivitis (gingival margin is red and swollen gentle probing of the gums results in bleeding, blood on toys/rawhides), mild to heavy calculus, possible tooth furcation visible (you can see the arches of the tooth roots), and there may be tooth mobility noticeable. Stage 4: Severe oral disease with severe gingivitis (gingival margin is very red and swollen with a red or bluish red color; there is spontaneous hemorrhage and/or ulceration of the gingival margin), moderate to heavy calculus, tooth furcation is usually visible, and tooth mobility noticeable. Plaque is a soft substance made up of food residue, saliva and bacteria that stick to the surface of teeth. When a pet eats, small particles of food and saliva stick to the surface of the teeth. The oxygen and food dependent bacteria normally present in a pet's mouth feed on this mixture, and begin to multiply. Within 3 hours, plaque begins to form as a soft, sticky coating over the surface of the teeth. If the teeth are not cleaned, plaque will begin to accumulate and the number of bacteria will rise significantly. The scientific name for bad breath is halitosis. Without regular dental care, disease-causing bacteria can grow freely in a pet's mouth. Excess numbers of these bacteria result in a pet developing halitosis. Halitosis is most commonly caused by dental disease, but can also be caused by diseases that affect the entire body of the pet, such as kidney disease or malnutrition. Unlike humans, pets rarely get cavities because they do not generally eat diets that are high in sugar. Sugar causes bacteria to make more acid than they usually do and this acid eats away at tooth enamel and dentin causing cavities. Calculus is hardened solidified plaque. If the teeth are not cleaned, plaque begins to accumulate and the minerals contained in a pet's saliva, such as calcium and salt, begin to stick to the soft plaque. As these minerals accumulate, the plaque hardens and solidifies into calculus. The bacteria, protected by the hard calculus, are harder to remove and continue to rapidly multiply. Occasionally, softer calculus can be removed by certain chew toys, but hard calculus must be scraped off the teeth by a veterinarian. Gingivitis is the swelling and reddening of the gingiva and it marks the beginning of periodontal disease. Plaque and calculus irritate the gingiva, causing it to become inflamed (red and swollen). The tapered edge of the free gingiva thickens and becomes rounded and is no longer effective in keeping food, debris and bacteria, including disease-causing bacteria, from entering the gingival sulcus. As the gingival starts to hurt, the pet may chew less and refuse brushing, which worsens the existing dental disease. Periodontitis is the inflammation, infection and destruction of the periodontium. Disease-causing bacteria begin to invade the gingival sulcus which provides a perfect environment for them to multiply. These bacteria are normally present in food and do not pose a problem unless the pet's oral defenses are weakened. The bacteria and their toxins stimulate the inflammation and destruction of the gingiva. If unchecked, the infection can reach the roots of the teeth, destroying the bone, periodontal ligament and cementum. The teeth are no longer firmly anchored in the bone and they become loose or are lost. Proper dental care is vital if a pet is to maintain healthy teeth and avoid infection and tooth loss. If a pet loses several teeth due to lack of dental care, he or she will still be able to eat without major difficulty provided that the dental and gingival disease are attended to by a veterinarian. Canned food can be eaten without major difficulty and most dry diets contain small pieces that can be swallowed easily. Brushing is the best way pet owners can remove plaque from their pet's teeth, but it must be performed once daily in order to be truly effective. It is a time-consuming option, but it can result in a closer bond between owners and their pets. Pet owners can use veterinary brushes or ordinary human brushes. Soft or medium bristled, child-size brushes are good for most dogs and cats while soft or medium bristled, adult-size brushes are good for large dogs. Smaller veterinary brushes may be necessary for the small mouths of some cats. Toothpaste (dentifrice) is not necessary, but it may make brushing more agreeable to pets and may slightly increase the overall effectiveness of brushing. Chew aids include dentifrice, rawhide, chews, and biscuits. Chewable dentifrice potentially reduces plaque build-up and gingivitis, but is most useful in cases where the pet has refused all other dental homecare options. Some dental hygiene chews have been proven to reduce plaque build-up and gingival inflammation. From a dental health standpoint, dry food is better than canned food as it scrapes against teeth removing plaque as it is chewed and leaves less residue on the teeth for bacteria to feed on. There are special dental care diets available that have been proven to help clean teeth by reducing plaque and calculus build-up. While it's true that dry food doesn't adhere to teeth as easily as canned food, it is not true that it can remove calculus from the teeth. Dry food only removes plaque on the rear teeth as the pet chews. Oral rinses and gels are available in a liquid or gel form and can be used as a supplement to brushing or when the pet will not accept other forms of dental homecare. Depending on the active agent listed on the product, oral rinses and gels may have some efficacy for delaying plaque accumulation. These products often claim to provide one or more of the following benefits: combat bacteria, anti-viruses and/or -fungi, fight bad breath; disinfect the mouth, and help tissues to grow. Pet owners should be warned that many oral rinses and gels are unappetizing to cats and some can discolor teeth. Pet owners should teach pets to accept brushing using short training sessions. Training should occur during a quiet time of the day so that the pet is more relaxed. After a training session, the pet should be rewarded with praise and petting (food treats can be used, but not if the pet has misbehaved). The pet must be completely comfortable with one training step before proceeding to the next training step. 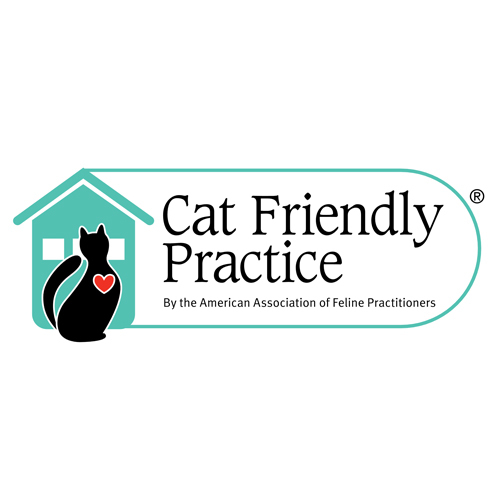 It can be particularly difficult to get cats to accept brushing. Cat owners may want to try using smaller toothbrushes suited for use in the confined space of a cat's mouth. The use of food treats may also help encourage some cats to be more cooperative. Grasp the muzzle between the thumb and forefinger of one hand midway between the eye and nose and raise the muzzle. As the cat begins to open its mouth, place the forefinger of the other hand on the lower incisors to pry the mouth wide open. Once the cat's mouth is wide open, quickly introduce the brush into the mouth using the hand that was previously placed on the lower incisors. Daily brushing is preferable, but if this is not feasible for the pet owner, brushing at least twice a week is acceptable. Generally, only the outer surfaces of the teeth need to be cleaned because the tongue tends to remove plaque from the inner surfaces. However, it is beneficial to brush the inner surface of the teeth if the pet allows its mouth to be held open enough and tolerates brushing in those regions. Hold the brush at a 45-degree angle to the tooth, with the bristle pointing toward the gingiva. Move the brush in a back and forth motion or a circular motion over the teeth. Pet toothpaste is not necessary, but it is very appetizing to pets and may make brushing more enjoyable for them. Human toothpaste should not be used as it can result in the pet having an upset stomach. Salt, garlic salt and baking soda, which are very appetizing to pets, can be sprinkled on the brush to encourage them to accept brushing. Please be careful, you are working in an animal's mouth and there is always a risk of being bitten. You should know your pet's temperament. Don't put yourself at risk. Some pets just won't allow their teeth to be brushed. Keep in mind there can be harmful bacterium in their mouths so after brushing be sure to wash your hands with soap and water.